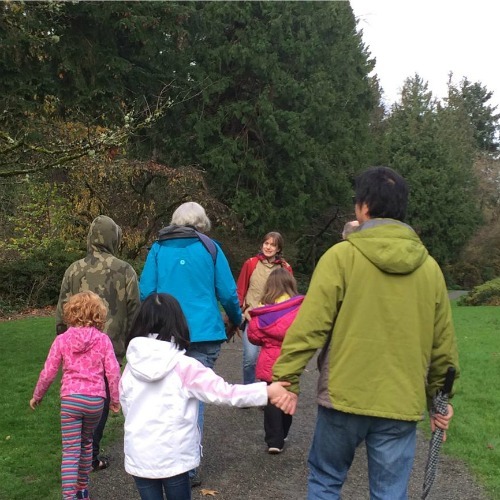 Free Family Weekend Walk: Migrate? You're Great! Saturday, Sep 8, 2018, 1 – 2:30 p.m.
Bring the whole family for an hour and half themed walk. During this free public tour, we will stop along the way for games, hands-on activities and learning geared toward children (2-12 years old) and their caregivers. Tour groups gather in front of the Graham Visitors Center at 1:00pm, 2nd and 4th Saturdays February-September. Free Family Weekend Walks are provided to families on a first come first served basis; the first 30 people to check in with the instructor between 12:45-1pm the day of the walk will join us!